The YZF-R1 Yamalube® Oil Change Kit is model-specific and includes everything you need; oil, oil filter, gloves and seals. No need to look-up models or part numbers, just order this kit! 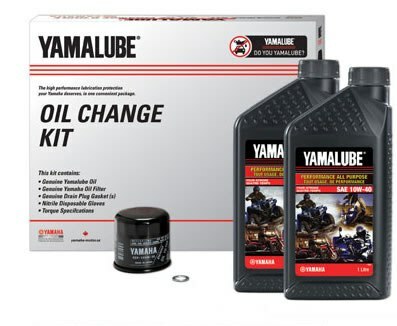 Yamalube oil change kits gives your legendary Yamaha motorcycle the protection it deserves.